Energy Saving Tips for Your Home. Cut your bill by 80% with these Energy Saving Tips. Then go solar and cut the rest of your bill. Do these, then get a free solar quote. #50 Switch to LED holiday lights. 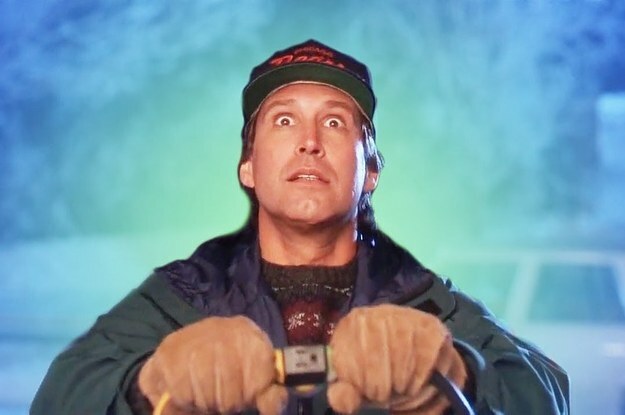 LED holiday lights use 80-90% less energy. Cost savings for one month of use is $10 for the average home, and upwards of $300/month if you’re the Grizwold family. 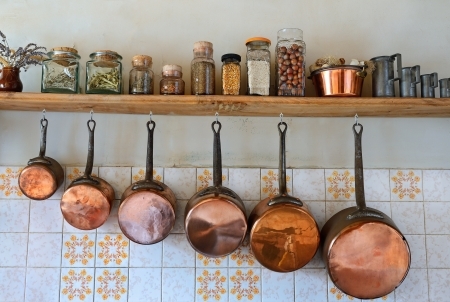 #48 Use copper-bottom pots and pans. ALSO a great Christmas present! Copper heats up faster and conducts heat better than most all other metals. In the oven glass or ceramic dishes are better than metal. 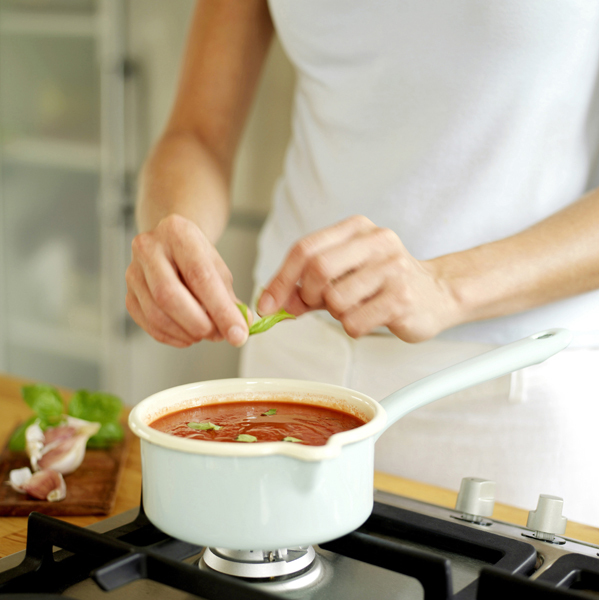 In a glass or ceramic dish, you'll be able to turn your oven down about 25 degrees and your meal will cook just as quickly. #47 Use timers for outdoor lighting. Timers work great for outdoor lighting that you would otherwise leave on all night. 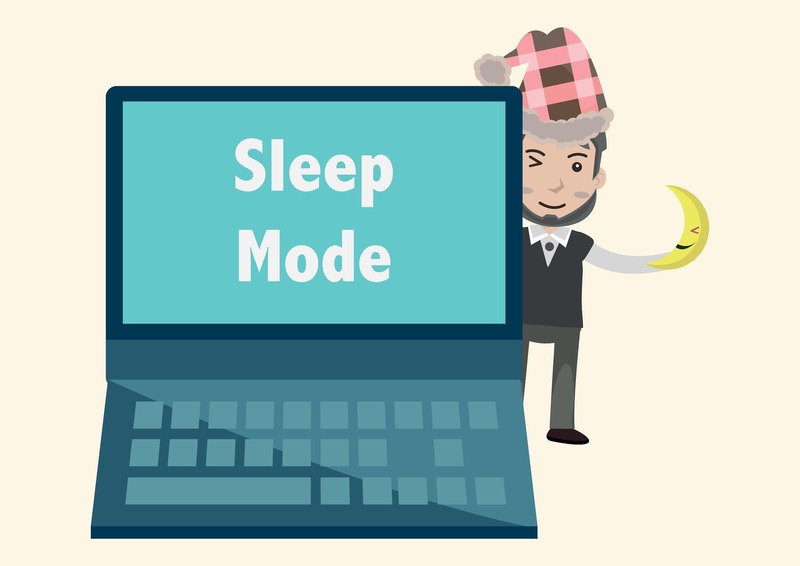 Set the timer to turn off at 2:00AM instead of in the morning when you get up. Outdoor timers cost less than $10, and you could save $40/year. 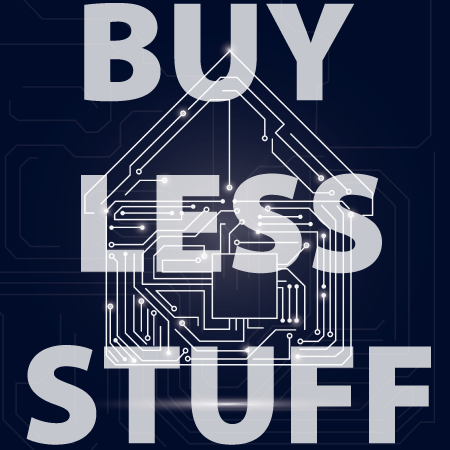 #46 Buy less electronics. We're not anti-consumerism, we're just recommending that you think about new purchases and consider its ongoing energy use and costs. Plus, there is the energy that goes into making the product, as well as end-of-life disposal and waste treatment. 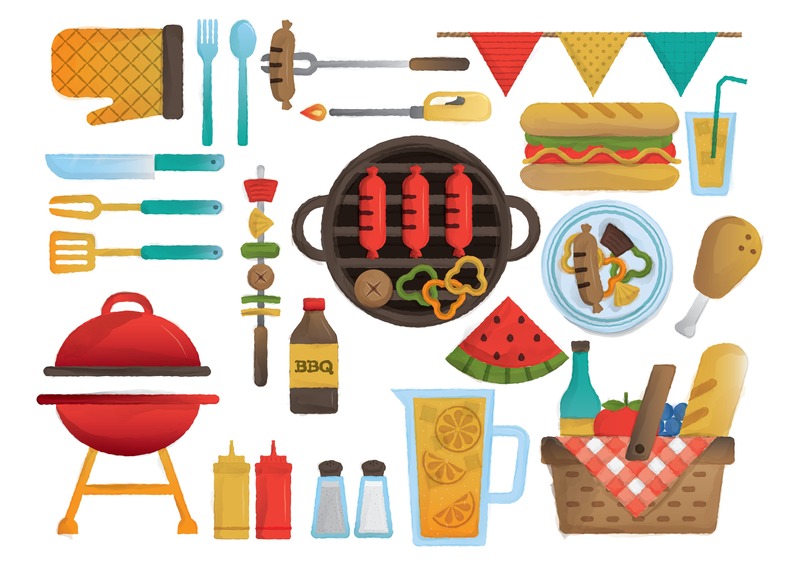 Holiday gifts can be other stuff, like gardening or sports equipment. #45 Keep stove reflector pans clean. Clean reflector pans reflect more heat upwards like they are designed to do. 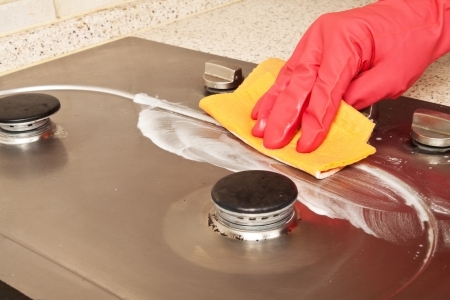 Here's a link on "How To Clean Drip Pans Naturally." #44 Install outlet gaskets to seal air leaks. Light switch plates and outlets leak a lot of air. Simple foam gaskets will easily help seal these leaks. A pack of ten costs less than $3 at any hardware store. #43 Use the air-dry option on your dishwasher. If you're washing a load of crystal glasses, then you probably want the dry cycle to eliminate spotting. But for other dishes, the air-dry cycle cuts about 15% of the dishwashers energy use. #42 Don’t close air vents in rooms that are not used. A forced air system (HVAC) is a pressure load system. By closing registers and vents, you impact how the system inhales and exhales air. This can cause the system to work harder and possibly even cause damage. Also the most energy efficient practice you can do is to have heat evenly distributed throughout the house. Blocking vents in certain rooms will make those rooms colder. Because heat moves from greater concentrations to lesser concentrations, these colder rooms will draw heat from other rooms in the house, making the whole house feel colder and causing you to raise the thermostat. 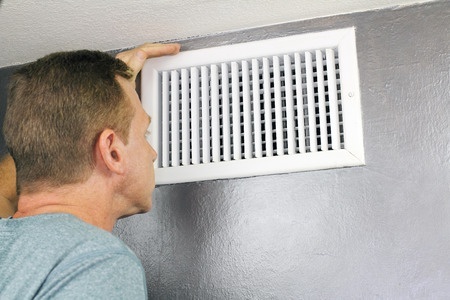 53766988 - mature man examining an outflow air vent grid and duct to see if it needs cleaning. one guy looking into a home air duct to see how clean and healthy it is. #41 Change your HVAC filter regularly. YES, this was also tip #30, and it is tip #49. That's because you need to change your filter more than once a year. How regularly depends on how dirty and dusty your home gets. A clean air intake filter means you are recycling cleaner air throughout your home. 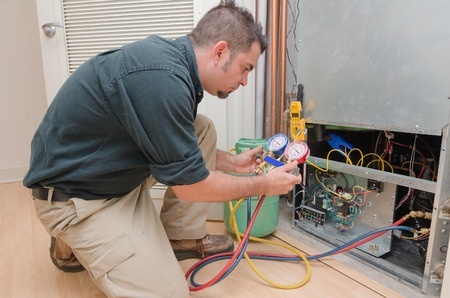 Your HVAC system will not have to work as hard pulling in air through a clean filter thus will last longer. You’ll save about 5% on your heating and cooling costs. Some filters are found in a ceiling vent, some on a wall in the hallway. Others are located at the HVAC unit in the attic. The size of your filter should be printed on the side. Cost: From $2 to over $40. The more expensive filters are supposed to trap smaller pollutants. Generally the $2 filters are just fine if changed often. 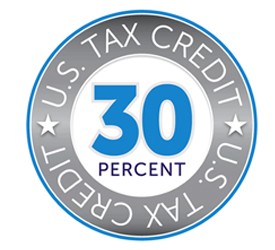 #40 Thinking of going solar AND taking the 30% tax credit? GET STARTED. 2019 is the last year you will be eligible for the full 30%. After that, the tax credit drops to 26%. Get a free quote today. #39 Desktop vs. Laptop? Laptop, of course. 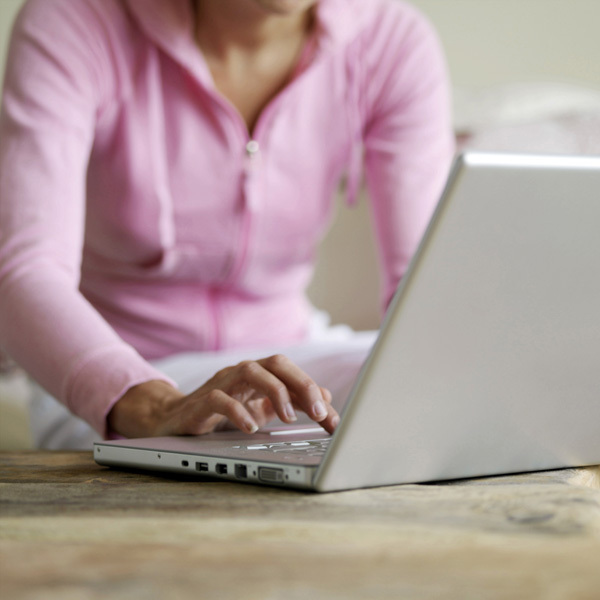 Laptop computers consume up to 80% less energy. Plus, you get the added convenience of being able to take your computer to Starbucks. #37 Check and replenish attic insulation. Insulation settles over time, losing some of its R-value. Simply adding another top layer is sufficient. While your doing that, check for mold and mildew and/or old, decayed and outdated material. Consider replacing as needed. Homes built before 1980 are generally well below the energy efficient standards of today's homes. Bringing your attic insulation up to current standards can save you anywhere from 10% to 50% on heating and cooling costs. On each type of insulation, a label states the R-value per inch, a measure of resistance to heat transfer. The bigger the number, the more effective the insulation. As a rule, the more insulation you add, the more money you’ll save. But there is a point beyond which you can spend more on materials than you’ll recoup in lower energy bills. The tipping point varies depending on where you live. Consult the Department of Energy’s zip-code specific recommendations for the right amount of insulation for your climate. Click here for help. #36 Fix leaks on faucets and toilets. This is my favorite of the energy saving tips because it has two benefits. 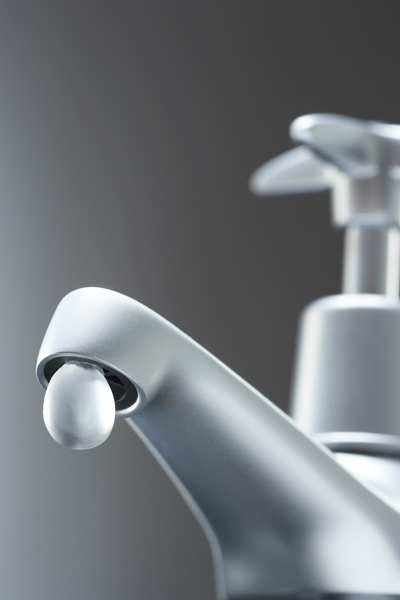 A faucet that leaks one drop per second adds up to 1,661 gallons of water per year, and approximately $35 in energy costs. A leaky toilet can waste up to 7,000 gallons of water per year. #35 Unplug battery chargers when not in use. It’s called a vampire load, the energy that is drawn and wasted by simply having things plugged in. 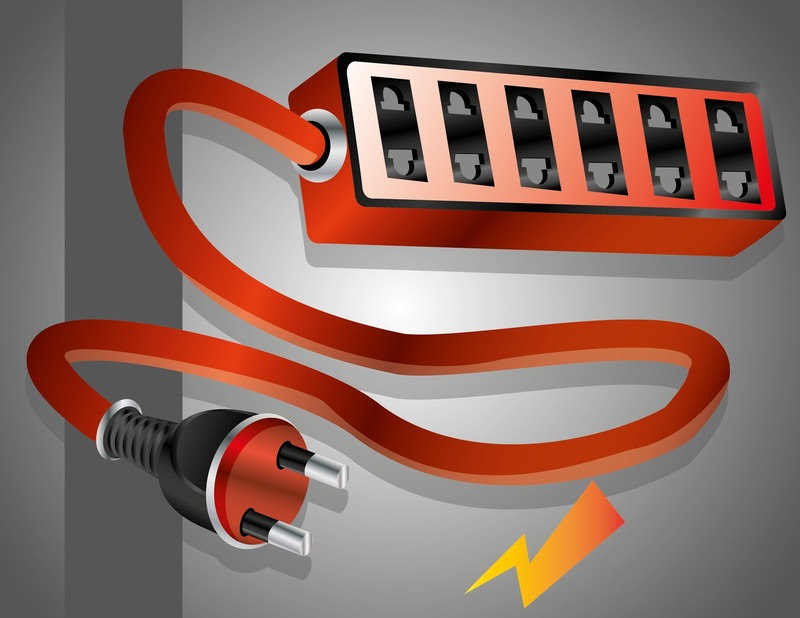 Better yet, use power strips to easily turn off multiple electronic devices. Vampire loads are responsible for 10% of residential energy use. A single, fully charged laptop can cost $15/year or more. 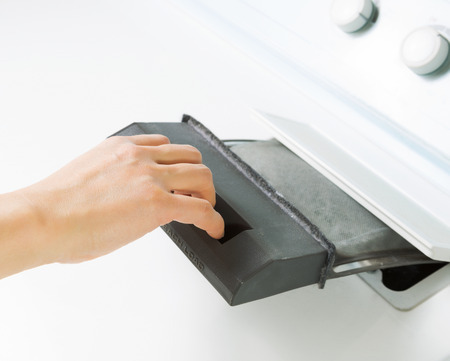 #34 Keep your dryer lint filter clean. The heavy load of wet towels and blankets that used to take 25 minutes to dry now takes 90 because your filter and vents are clogged with lint. Clean dryer filters before every load, and clean dryer vents every other month or more, depending on use. Save $34 annually. As a bonus (a huge bonus) you will also reduce any risk of fire. 2,900 clothes dryer fires are reported every year in the US and cause an estimated 5 deaths, 100 injuries, and $35 million in property loss. #33 In summer months, have your ceiling fans blow downwards. Cold air collects near the ground. 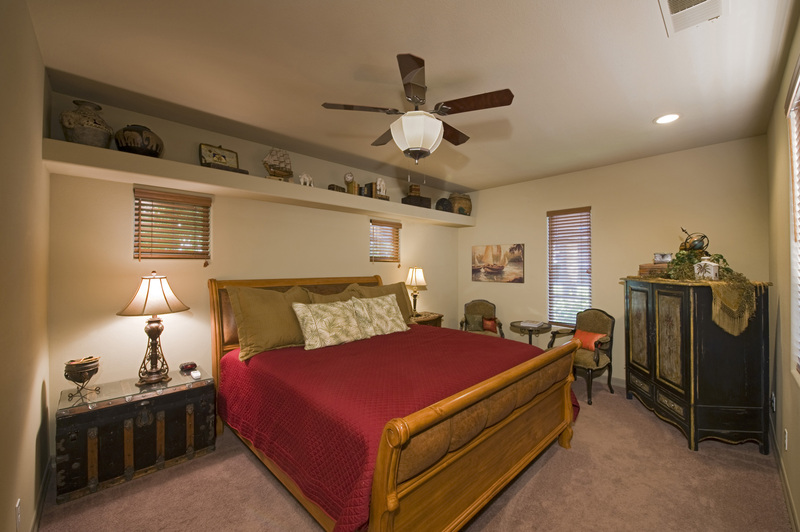 A ceiling fan on low speed blowing downward will help re-circulate the cold air throughout the room. But turn these fans off when you leave the room. 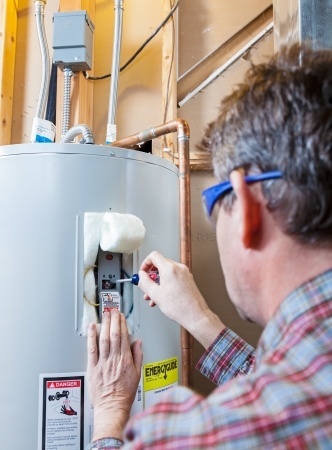 #32 Replace your old water heater with an energy efficient model. The most savings of the energy saving tips. Cut your water heating bill by 60% or MORE. If you have a propane or electric water heater, we recommend a hybrid water heater. Hybrid water heaters are 60% more energy efficient. And if you add solar energy, they will be 100% more energy efficient. If you have a natural gas water heater, we recommend you stick with the natural gas. In California, natural gas is the most economical way to go. Make sure your new model has a good energy star rating. Check the cost per year to operate dollar amount. Also, look for a model with a “vacation mode” that allows your water heater to basically go to sleep while you are on vacation. #31 Install A Whole House Fan. A whole house fan is not a box fan that you set in front of the screen door at night. Whole house fans are usually installed in the attic. They quickly exhaust hot indoor air, allowing cooler outside air to enter through an open window(s). Once the house has cooled down, the fan can be turned off and the windows closed to keep that fresh, cool air inside the home. Energy cost? About the same as porch light. #30 Change Your AC Filter Regularly. How regularly depends on how dirty and dusty your home gets. Generally once a month is good. 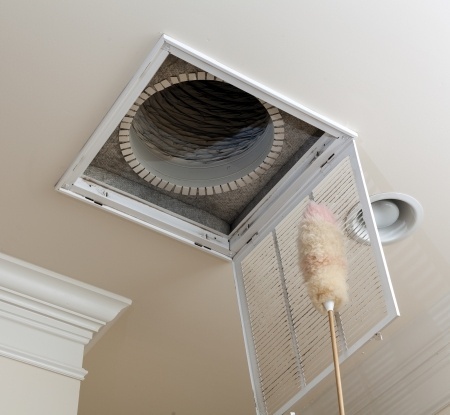 A clean air intake filter means you are recycling cleaner air throughout your home. Your HVAC system will not have to work as hard pulling in air through a clean filter thus will last longer. You’ll save about 5% on your heating and cooling costs. Some filters are found in a ceiling vent, some on a wall in the hallway. Others are located at the HVAC unit in the attic. The size of your filter should be printed on the side. Cost: From $2 to over $40. The more expensive filters are supposed to trap smaller pollutants. Generally the $2 filters are just fine. #28 Close your shades early in the morning on hot summer days. According to the US Department of Energy, white plastic curtain backing or shades can reduce home heat intake by 33%. Space cooling accounts for 9% of our total home energy use. So, window shades SHOULD cut your energy bill by 3% overall. #27 Install a solar electric system. Of course we're going to recommend this. If your energy bill is over $75, we can save you real money. We have installed over 5,000 energy systems, saving local residents over $40 million and counting. We have systems that we installed over 30 years ago that are still in operation today. 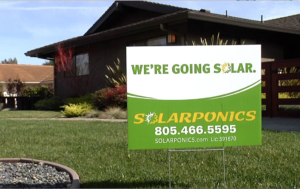 No other solar energy company in California can say that. #25 Replace all remaining incandescent and/or CFL light bulbs with LED. LED bulbs are under $3 each these days, and each bulb can save up to $36 year in energy costs. 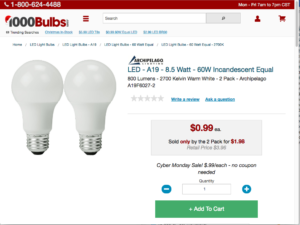 It's a shame to have to throw out perfectly good CFL bulbs, but the net energy savings as well as environmental impacts are lessened immediately. CLF bulbs MUST be recycled. You can take them to Miner's Ace Hardware or Home Depot for recycling. #24 Set your dishwasher to economy mode. First of all, using a dishwasher to wash full loads of dishes is more economical than washing by hand. Economy mode typically heats the water slower. Some models also sense how dirty the water is and recycle water that is clean enough to use again. This saves heating up more fresh water when it’s not needed. Savings? Up to 20% of the dishwasher’s energy use. #23 Give your AC a tune up. Dirt, neglect, faulty parts can lead to gross inefficiencies and system failure. #22 Wash only full loads of laundry. You’ll save energy and water. How much? 90% of energy used goes to heating the water, whether it is a full load or half load. An average load costs $1.52. A half load costs $1.20. So, two half loads cost $2.40. Yea, its small, but it adds up. You wouldn't walk past a quarter on the ground, would you? #21 Avoid over drying your clothes. Not only do you waste energy, you risk damaging your clothes. Elastic can easily be overheated, weakening the strength. Synthetic fabrics can also be damaged by over drying. #20 Install a hot water recirculation pump. 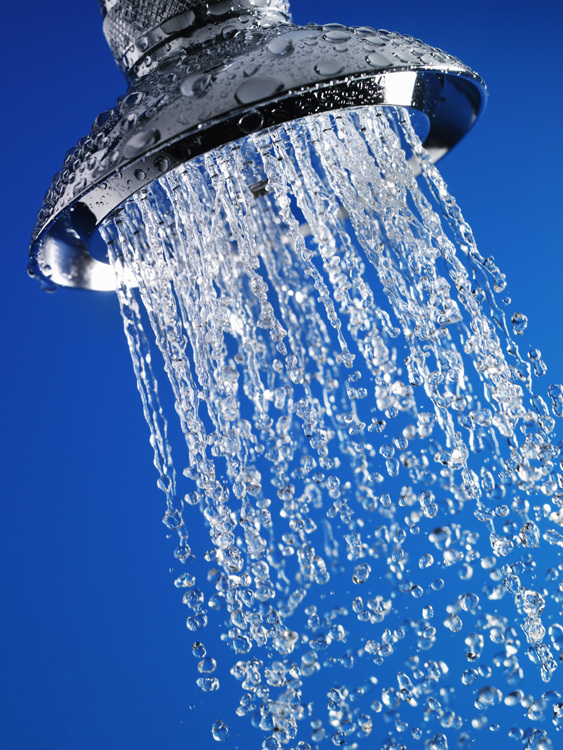 Do you know how, when you turn on the hot water, you have to wait for the hot water to get to the faucet or shower? A hot water recirculation pump circulates hot water in the lines, so there is no wait and no waste. This is a great water saver, estimated to save upwards of 10,000 gallons of water each year for the average 2,000 sq. ft. home. You also get the added comfort of having instant hot water and not having to wait for the shower to heat up. #19 Turn your water heater temp down to 120°. #18 Plug holes in interior and exterior walls. Pipes, gas lines, and electrical cables that enter your house often have gaps around them that have been haphazardly filled with some kind of caulk. But the caulk eventually cracks, peels, and falls off. These gaps let in outside air, plus they are ideal entry points for mice and insects. Seal gaps with expanding foam. For water pipes under the sink, unscrew and pull back the escutcheon ring, then caulk around the pipe. The ring is just decorative. #17 Vent your clothes dryer to the outside. Your clothes will dry faster, and you'll avoid having water vapor build up in your laundry room or garage. #16 Keep Your Freezer Full. 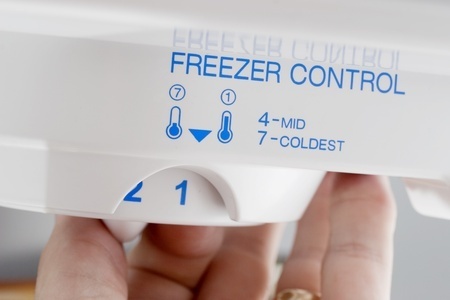 A full freezer retains more cold, losing only the cold air that flows out. 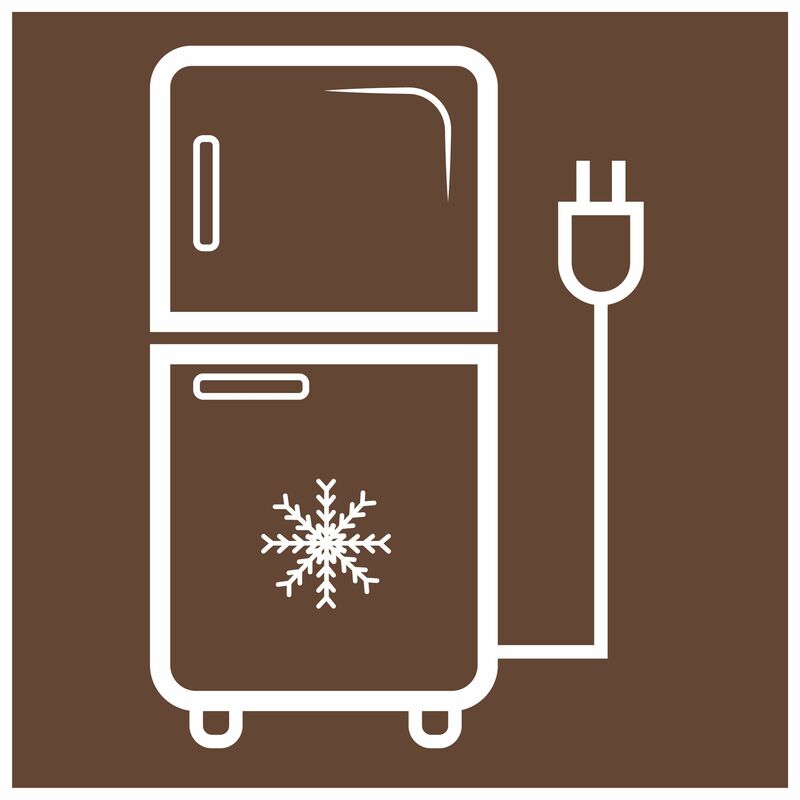 An empty freezer looses 90% of the cold as cold air escapes, and warm air flows in. Fill empty water, milk or juice containers with water. We do not recommend using the water for consumption later if stored in a plastic container. #15 Replace your water heater anode. Most people have never heard of an anode. Virtually every water heater has one. 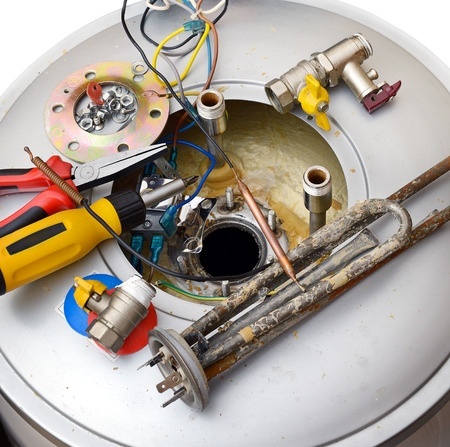 It is the most important factor in determining the life of your water heater. It is a bar that is made to corrode in place of the metal of your water tank. Replacing your anode every four years, or sooner, can double the life of your water heater. Solarponics can replace your water heater anode. Costs rance from $119 to $199. Call Deanna, service department (805) 466-5595. #14 In winter months, set ceiling fans to blow upward. In the winter, warm air collects at ceiling height. A ceiling fan on low speed blowing upward will gently re-circulate this warm air back throughout the room. 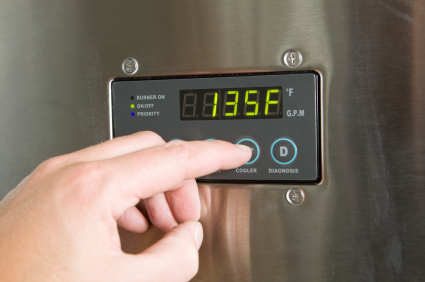 #13 Set your refrigerator to no lower than 38° F. Bacteria growth multiplies at temperatures over 40°F. Too cold, and you risk freezing (and ruining) your food. 38° to 40° is the sweet spot. Your freezer should be set at 0°F. Food stored at 0° Fahrenheit or below is safe to eat indefinitely (although quality and taste may be compromised after a while). #12 Use a toaster oven to heat small dishes. 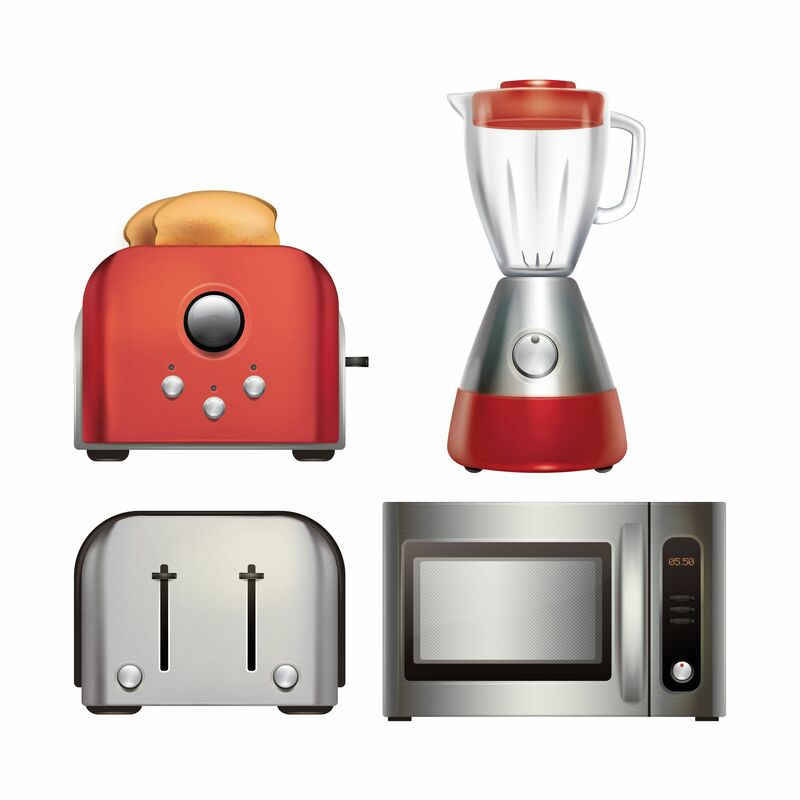 Toaster ovens can be 30% more energy efficient than a full size oven for cooking and heating small meals. A microwave is 80% more efficient. IF YOU DO USE a microwave oven, do not use any type of plastic dishes. Use ceramic or glass dishes only with matching tops. #11 Limit your use of portable electric space heaters. 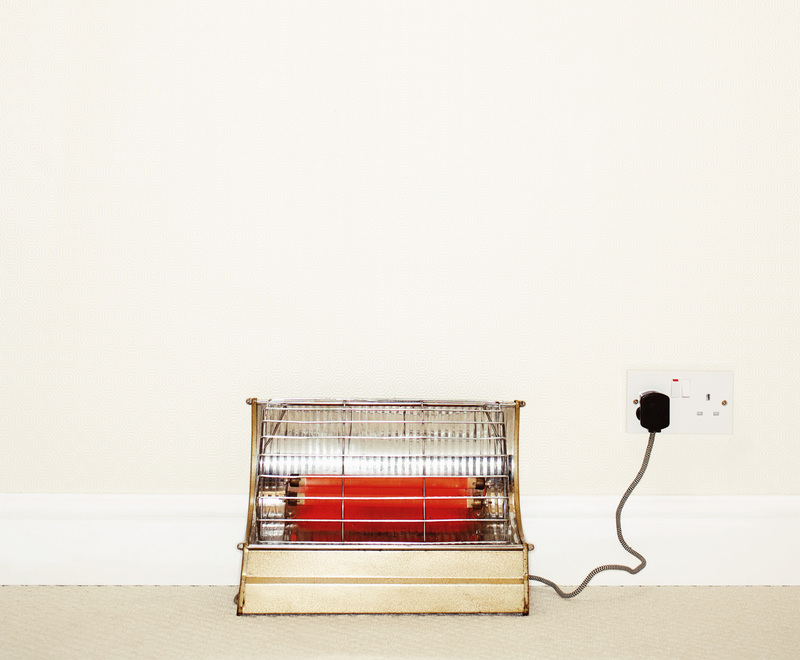 Space heaters are inefficient at heating a room and can cost about 16¢ per hour to operate. The average savings? $48/year in energy costs by getting rid of the space heater. NOTE: The US Consumer Product Safety Commission reports that space heaters cause 21,800 fires and 300 deaths annually. As us about radiant Heating. Call (805) 466-5595 or click get a free quote. #10 Open window shades during sunny days in the winter to absorb heat. Use the thermal energy to heat your home. Save 10% on winter heating costs. Then we all just hang out and drink wine all day...not. #9 Insulate bare floors with throw rugs. The most comfortable of the energy saving tips. They also insulate from cold floors, just as window shades or curtains insulate a window. The numerous fibers in a throw rug trap air, actually adding the equivalent of an R-8 insulation value or more. #8 Use low flow faucets and shower heads. A low-flow shower head not only saves money, but also on energy used to heat the water that you’re not using. Eco Options estimates one can realize savings of $420 over the 10-year lifespan of a new shower head. You’ll also save 1,794 gallons of water per year. #7 Match the pot size to your stove burner. Much heat is lost when you use small pots on large burners. The tastiest of the energy saving tips. #6 Buy only Energy Star rated appliances. Energy-Star is an EPA and Dept. of Energy designation for energy-efficient products. Depending on the appliance, you can save hundreds/year in energy costs over the old appliance, enough to pay for the new appliance. #5 Seal Air Leaks around doors and windows. You will save money and be more comfortable. It’s hard to put a cost savings on this tip. Leaky doors and windows can account for 20% or more of a homes energy heating and cooling costs. #4. Smart Plugs. 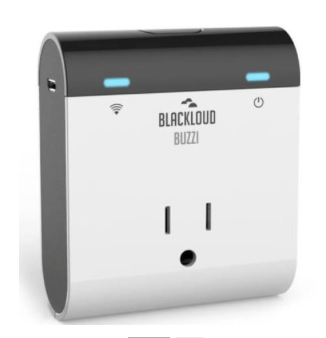 Control lights, appliances, computers with a mobile app, from anywhere, at anytime. 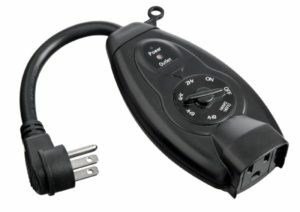 Turn on and off as needed to save energy. Cost: under $10 per outlet. The future of energy saving tips. #3. Install a programmable smart thermostat. 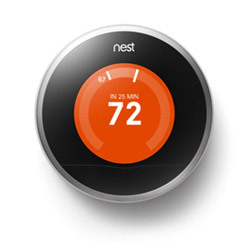 Today’s smart thermostats, such as the Nest, can cut your heating and cooling bill by 10-12%, saving you about $131-$145 per year. That equates to a two-year payback. #2. Wash your clothes in cold water. 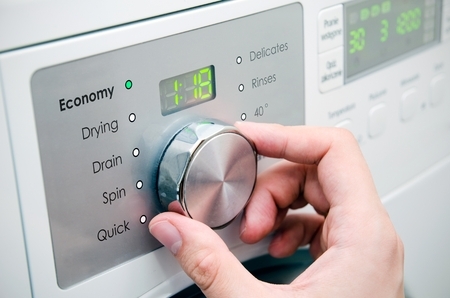 Heating water accounts for 90% of a clothes washer’s energy use. Cold water cleans clothes just as well as hot water. 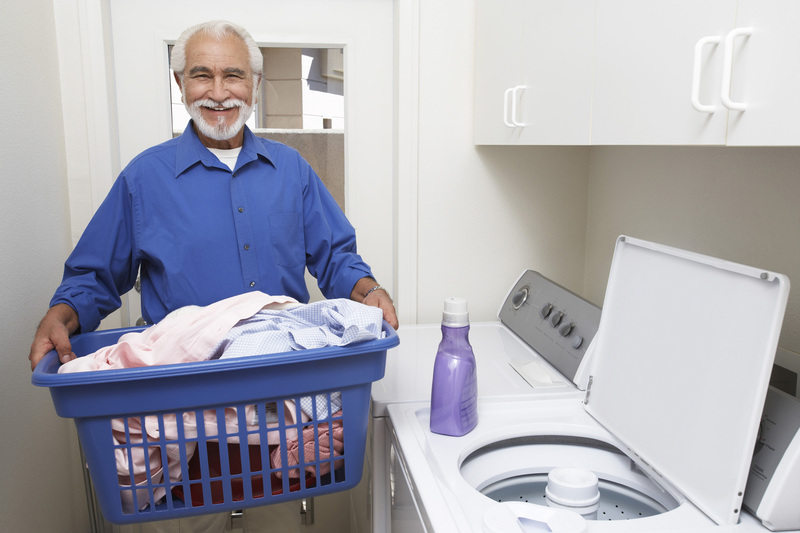 Hot water will shrink your clothes, cause fading and wear them out faster, too. Hot water uses 4.5 kWh per load; cold uses 0.3 kWh per load. Also, front-loading wash machines use 40-75% less water and 30-85% less energy than top loaders. Expect to save over $200/year. 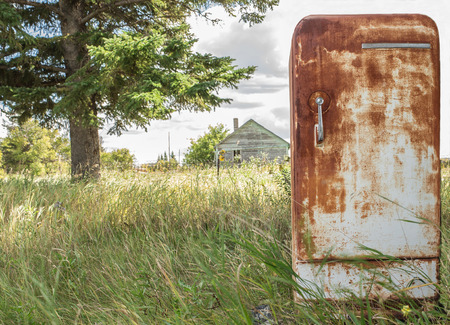 62698278 - horizontal image of an very old rusted fridge sitting outside in the grass in the summer time. Don't just go solar. Go Solarponics. Because every dollar saved matters.